Taco Tunes products and service? Discussion in 'Audio & Video' started by 4x4x4trd, Feb 17, 2008. Just wondered if other people have had better luck than me. Maybe my stuff got packaged and shipped out on a bad day? The only thing I can brag about is the shipping was quick. Nope.. Same experience! Overpriced adaptors, incorrect wire harness and hardware that is crap. I think TacoTunes needs to review their kit components and price!!! made my own adapters. cost me all of $7 for a sheet of mdf from the depot. i already knew the wiring color code so splicing was no problem. it also helps that i have been an installer for over 17 years. At least they did contact me today and offered a partial refund. We'll see how that pans out. I should have gone your route, just figured open one box get er done. Yeah right! Anyway you do a four speaker basic upgrade or all out component system? i haven't totally finished everything yet. only the front doors have been done. 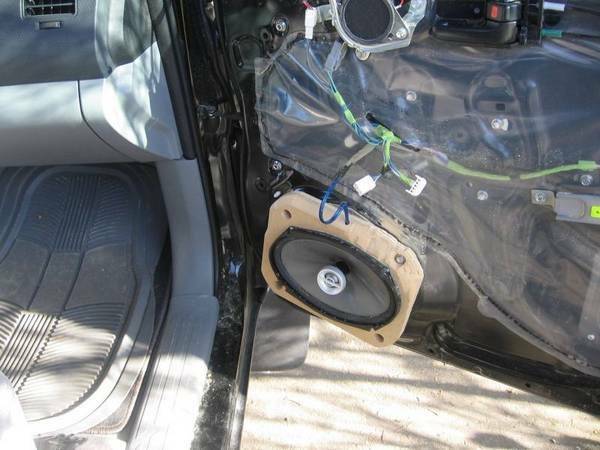 the rears will get done hopefully this weekend along with my 2 amps and subs. made my own 6x9 mount, wasn't too difficult.